In this review we examine the SonicHash mining program that is offering investment packages to the public. SonicHash allegedly is a bitcoin cloud mining platform. This means that you can rent computing power that is then used to mine bitcoin and you get the rewards. 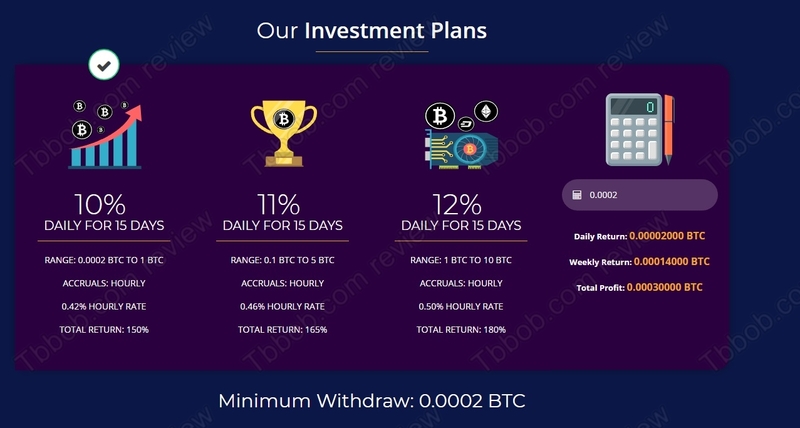 There are three investment plans with returns going up to 12% daily for 15 days. This means 80% net after 15 days, in other words 160% net profit in one month. From mining? The truth is that Sonic Hash is not a mining program. They have no mining computers, they are not doing any bitcoin mining. Nowadays reality is that cloud bitcoin mining is not profitable. So, it is impossible to make tens or hundreds of percent per month in mining. This means that Sonic Hash is a scam, it absolutely cannot make the money they promise in crypto mining. So, what is SonicHash really about? It is a scam. This means that it is just an illegal financial game based on a Ponzi scheme. Ponzi schemes only redistribute money they got on withdrawals. They can fail any time, because you don’t know when will withdrawals exceed deposits, but you know it will happen. 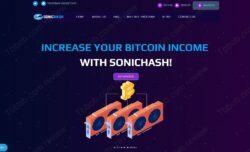 SonicHash is a scam, it is not about mining, it is about an illegal financial game. Stay away from it! If you are interested in making money with cryptocurrencies, try trading and start on a free demo to see how it works. In trading you can make, but also lose money, so don’t invest real money until you are sure about what you are doing.